**Boomkat exclusive** A master returns. 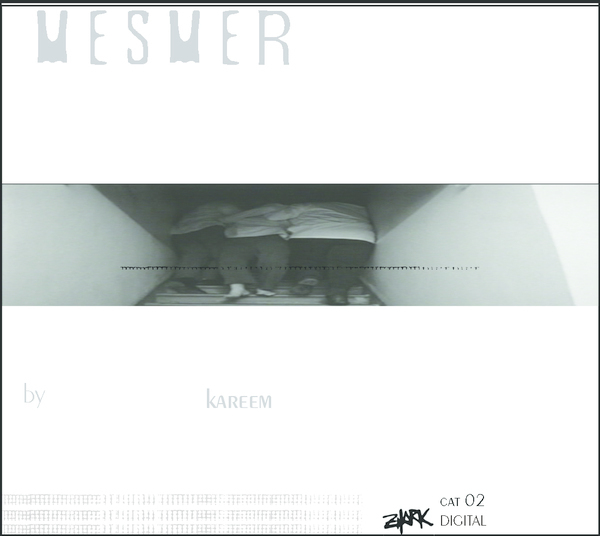 Five years since his last Zhark record and a week after his awesome 'Exstinctio Conscientia' 12" with Ancient Methods, Patrick Stottrop aka Kareem presents the abundant darkness of 'Mesmer', eight tracks of sleek, hypnotic techno with a sumptuously gloomy Berlin warehouse atmosphere. Stylistically they share most in common with early Zhark releases like 'Mikoyan' and 'Ciclop', but his alchemical processes have since been refined in the lab, resulting a more layered, diffuse and dynamic new batch. It opens with two remarkable extended pieces, 'Trenches' and 'Godspeed', both taking over 12 minutes to tunnel deep between the veins of Basic Channel and Regis with a severely acute appreciation of stoic, gothic funk and visceral sound design amped by a widescreen scope for evolutionary arrangement. Needless to say, the rest are grade A, too, from the taut metallic roil of 'Mesmeric' to the haunted acid dub of 'Ligeia' and the bleak aerobic mysticism of 'Usher'. This is functional, physical, psychedelic music for the afterhours, those moments of detachment when time seems to hover while you feel the need to stay on your feet relentlessly. Highly recommended to fans of Milton Bradley, Regis, LADA.